Basecamp is where adventurers go to refresh and refuel between expeditions. It's a place of relative comfort, where we plan and prepare for the next great venture into the mountains, to the river, the crag, or the trail. The Ruffwear Basecamp™ Bowl keeps your canine companion fueled and hydrated at home, wherever "home" may be. Basecamp is where adventurers go to refresh and refuel between expeditions. It&apos;s a place of relative comfort, where we plan and prepare for the next great venture into the mountains, to the river, the crag, or the trail. The Ruffwear Basecamp™ Bowl keeps your canine companion fueled and hydrated at home, wherever "home" may be. 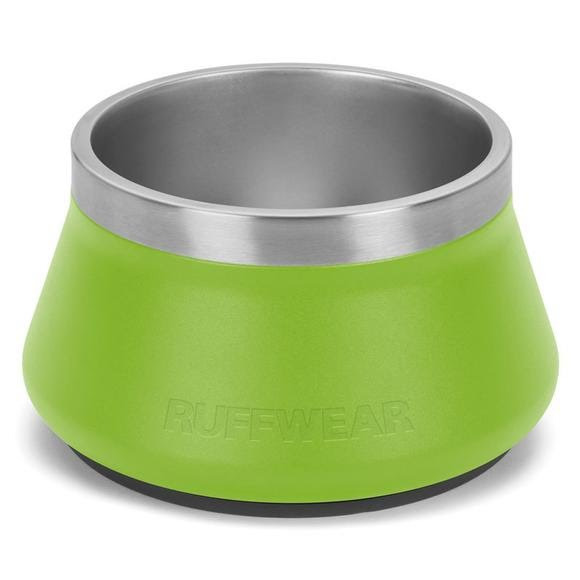 This stainless steel food and water bowl stays put with a no-slip silicone base. Multiple bowls stack together for easy stow, and the bottom of the bowl is shaped so that food or water collects in the middle and is easy to reach.